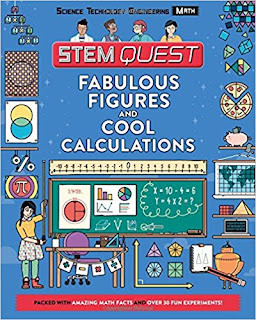 Discover the wonders of STEM (Science, Technology, Engineering, and Math) with this cool series! This inspiring series was created with input from STEM Editor Consultant Georgette Yakman. Ms. Yakman is the founding researcher and creator of STEAM Education, a U.S. organization that provides educational programs to encourage innovative learning in science and technology. So get ready to explore, engage, and entertain young minds with this exciting collection of genius activities and games! I have a daughter that loves math and is much stronger than I ever was when it comes to the subject. That being said, I am always looking for books that have some fun activities but that are also challenging for her age group. 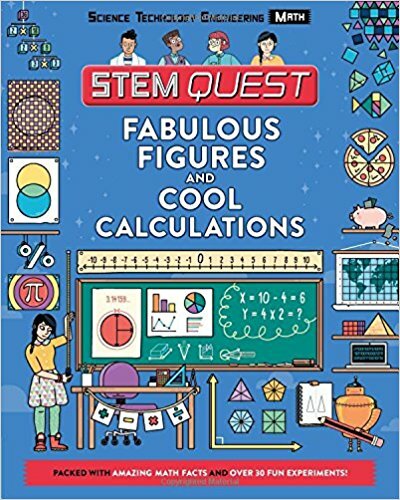 This book had a great array of activities that your math fan will love, at least my daughter did! Book Review - Will Sheep Sleep? Book Review - Will Bear Share? Book Review - Tell Me How? Book Review - Tell Me How Many?